To prevent deterioration of drinking water in the Laramie area. Concerned citizens of Laramie and Albany County, Wyoming. 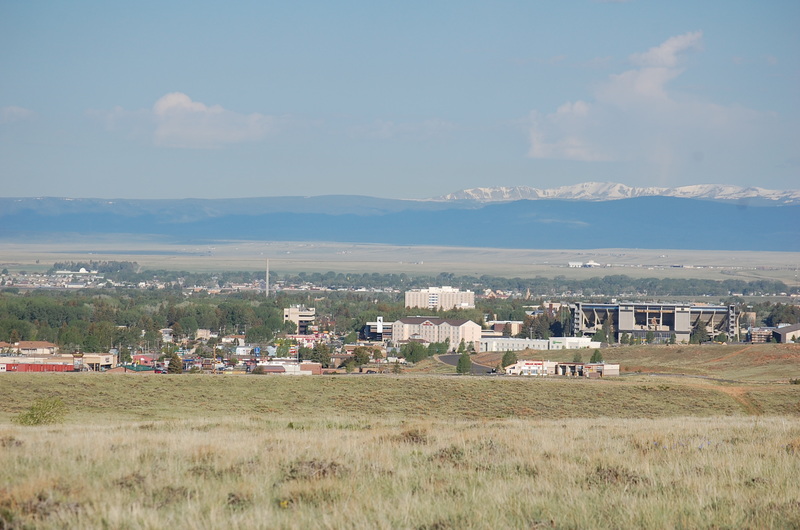 View of Laramie from the Casper Aquifer. About 50% of the water supplied to Laramie residents comes from the Casper Aquifer. In addition, several hundred residents near the city depend on the Casper Aquifer for 100% of their drinking water. Locally, the Casper Aquifer is recharged in the area extending approximately from Boulder Drive to the Laramie Range east of the city. 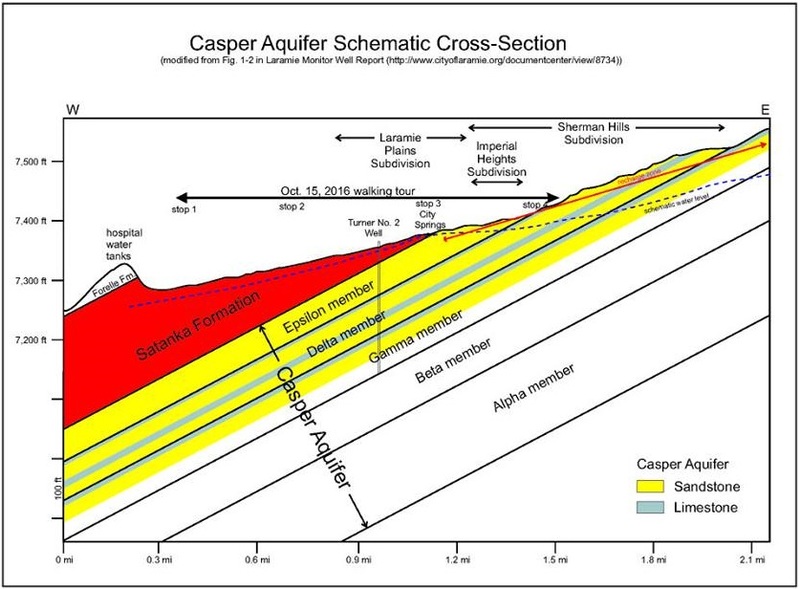 Click here for a map of the new Jacoby Ridge Trail (off the east end of Willet Drive) with four geology stops featuring aspects of the Casper Aquifer. Posted on April 19, 2017 by albany5advocates.